If you have been arrested and the Police have found drugs in your possession, you must obtain legal advice before providing the Police with any information if they intend to question you under caution. When will you be subject to a Drugs Test? Any offence for drugs possession is commonly known as a trigger offence. This is a crime more often than not, involving obtaining money that could be used to purchase drugs or if the arrested person is known to Police for a previous drugs possession offence, or where a Police inspector has reason to believe that drugs have been used or involved in an offence. Therefore, in such circumstances, you will be subject to a drug test. If a person is tested for specific Class A drugs, the person will be required to make attendance with a drugs worker for two assessments. This is covered in Sections 9 and 10 of the Drugs Act 2005. If the person fails to attend, this failure will constitute an offence. 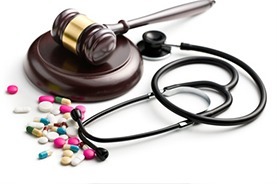 Anyone who after testing for drugs proves positive, and refuses to engage in a prescribed drugs treatment, may be refused bail at the Police Station or the magistrates court.